To buy credits, follow the steps given below. 1. Navigate to the Buy Credits option in the top right corner of the page. The Buy Credits page will be displayed. 2. 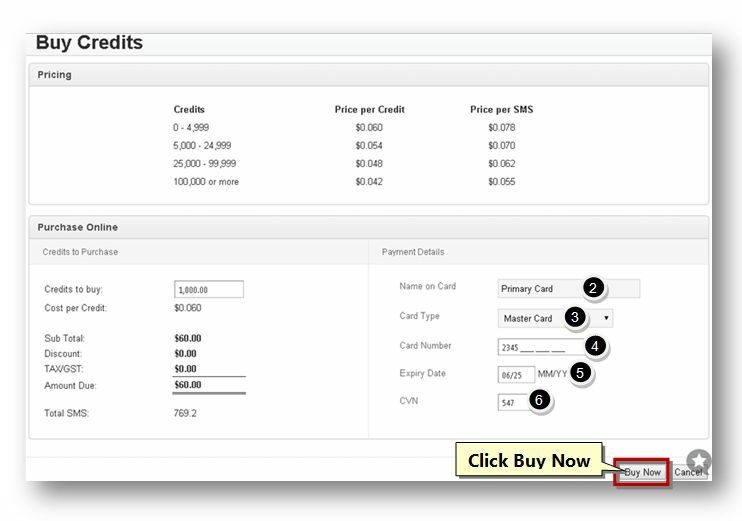 In the Payment Details section, enter the name of the card in the Name On Card text entry box. 3. Select the type of the card from the Card Type drop down list. The available options are VISA and Master Card. 4. Enter the card number in the Card Number text entry box. 5. Enter expire date of the card in the in the Expire Date text entry box. 6. Enter the card verification number in the CVN text entry box. 7. Click the Buy Now button. Your credits will be added.